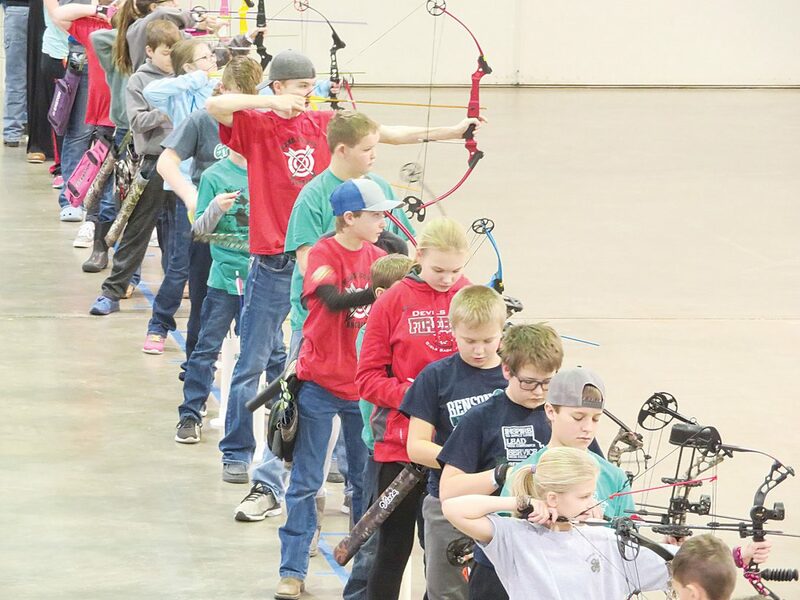 Twenty-six Ward County 4-H members competed in the Northwest District 4-H Archery Match held at the North Dakota State Fairgrounds in Minot on Feb. 2. Categories are split up by age and type of bow the individual uses. Ages include Beginner, who are ages 8 to 10; Junior, ages 11 to 13; and Senior, ages 14 to 18. There are two types of bows, Barebow and Freestyle. Barebow have no sights or releases. 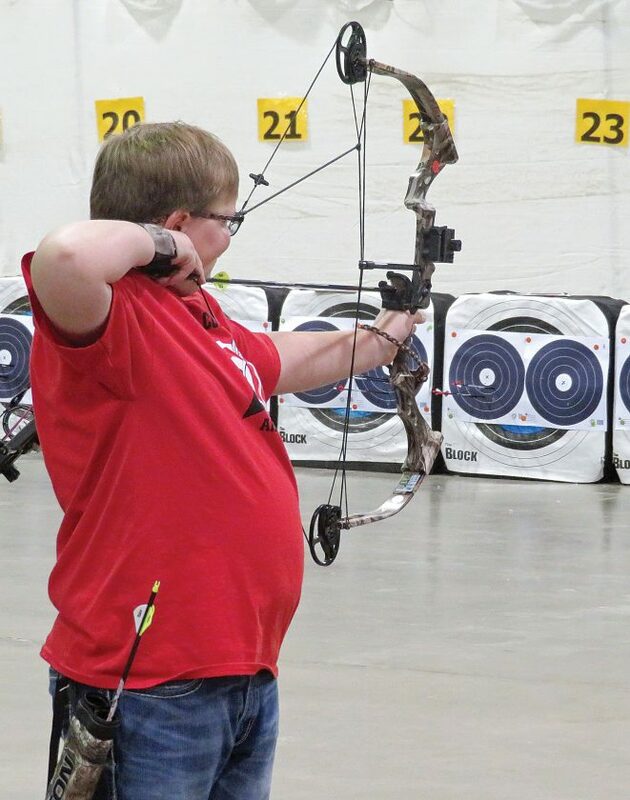 If a bow has either a sight or release they are put into the Freestyle category. The Masters category is for those who are at least 14 years old and have already competed at the National contest. In the Masters division Ethan Myers, Minot, received second place with a score of 298; a nearly perfect score. E. Myers was the only one from Ward County competing in the Masters division. Receiving sixth place in the Senior Freestyle division was Tate Novodvorsky, Douglas, with a score of 275. Sarah Potts, Minot, received 10th place with a score of 263. Competing in Senior Barebow division were E. Myers, Kaden Korgel, Minot, and T. Novodvorsky. E. Myers placed second with a score of 258 and K. Korgel placed fourth with as score of 254. In the Junior Freestyle division, Ward County was represented by Karter Myers, Jacob Saunders and Layne Korgel, all Minot, Miranda Novodvorsky, Douglas, Peyton Helwig, Kenmare, Teagan Strilcov, Minot, Clay and Claire Fegley, Berthold, and Makayla Kraft, Minot. Receiving third place in Junior Freestyle was K. Myers with a score of 144, 10th place was Saunders for a score of 137. Competing in the Junior Barebow division were L. Korgel, K. Myers, Elizabeth Michel, Berthold, Brooklyn Blooms, Carpio, M. Novodvorsky, and Saunders. L. Korgel placed seventh with a score of 240. In the Beginner Freestyle division, Ward County was represented by Olivia Johnson, Minot, Cole Whitcher, Minot, Kiley Whillock, Kenmare, Elizabeth Kraft, Minot, Molly Wingenbach, Surrey, and Ella Brown, Berthold. 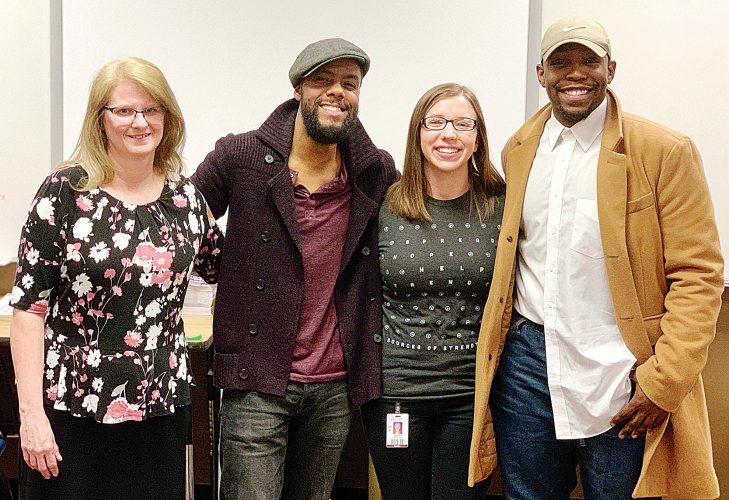 Johnson earned seventh place with a score of 111. 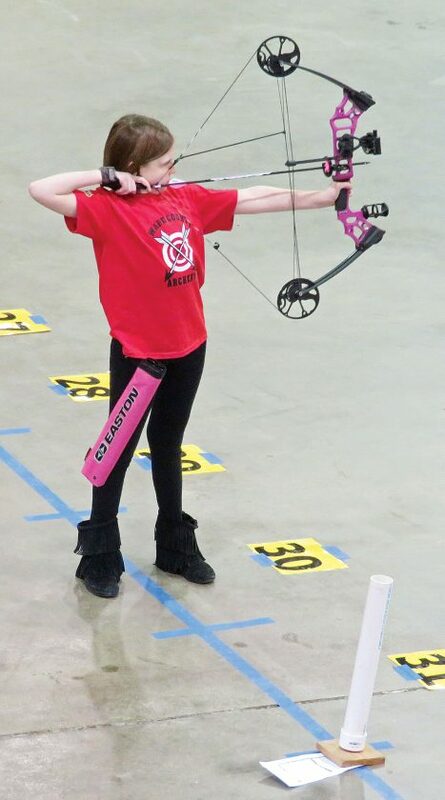 In Beginner Barebow, Ward County members included Cheyenne Degenstein, Berthold, Brynlee Bloms, Carpio, Breana Mindt and Ryia Beeter, both Minot, and Abrielle Michel, Berthold.